Full disclosure: I am a hugeSusin Nielsen fan. There are very few writers I love enough to seek out their entire back catalogue and hyperventilate when they write a new one but she is one. But if you love a writer that much you get nervous when they write a new book because what if you’re disappointed? I was not disappointed. 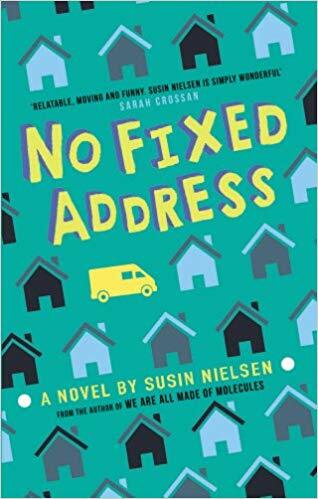 No Fixed Address is wonderful. In fact, maybe my favourite so far? Hard to say, they’re all amazing. The Susin Nielsen trademark, if there is such a thing, is warmth, relatable characters, humour and touching storylines for young teens and this has all of that. Character is everything for me and Nielsen does this so well. After a run of bad luck, Felix and his unreliable mother, Astrid, end up living in their tiny VW van while Astrid looks for a job. At first this is an adventure; it’s summer and they’re basically camping. But when school starts and winter approaches and Felix has to hide his living conditions from his friends, the novelty definitely wears off. He has a plan to get them back on their feet but it’s a very long shot, and avoiding the police and not going hungry in the meantime is getting increasingly difficult. 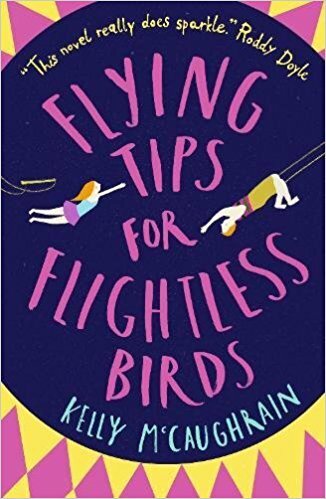 The book is about the increasing problem of hidden homelessness (in fact it’s endorsed by Amnesty International), and the realisation that your parents might not be terribly good at being parents, and it’s completely touching without ever being grim or dark. Felix is a very sweet character and I loved the relationship between him and his mother, which is complicated and very believable. Felix and Astrid love each other very much but is that enough when Astrid is failing to provide the basics of a stable homelife? One of the things I love about Nielsen’s books is that the characters are always treated very humanely. Even the bad guys are three dimensional and have reasons for their behaviour, which gives the issues a lot more interest. Astrid is very realistic – we all know an Astrid – and you can’t help liking her despite her flaws, especially when you learn about her own back story. Felix is entirely convincing as a kid who’s had to be the responsible one in his family and desperately wants to respect his mother but is coming to realise things about her that hurt and disappoint him. I love that there are still books out there that don’t assume you need ramped up action, romantic melodrama and edgy concepts to attract teens. Nothing wrong with those books but they never stay with me the way character-based stories full of humour and heart do. No Fixed Address is a masterclass in subtlety and I highly recommend it. I have not come across this author, but I like the sound of this. Thanks, Kelly.